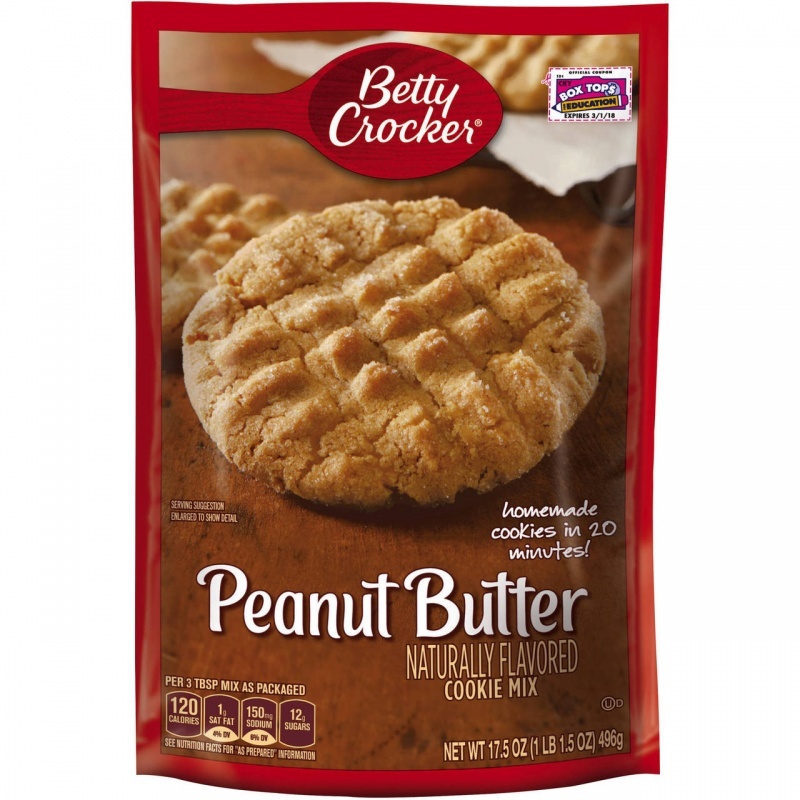 The Betty Crocker Peanut Butter Cookie Mix gives you up to three-dozen delicious peanut butter cookies in 20 minutes. Just add water, oil and egg to the mix, then stir and bake. Enjoy all the homemade flavour with half the homemade mess. Enriched Flour Bleached (Wheat Flour, Malted Barley Flour, Niacin, Iron, Thiamin Mononitrate, Riboflavin, Folic Acid) Peanut Butter (Peanuts, Sugar, Hydrogenated Rapeseed, Cottonseed, and Soybean Oil, Salt)Sugar, Brown Sugar, *Corn Syrup, Partially Hydroge Produced from genetically modified maize. 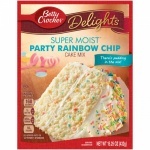 Easy cookie bake that is delicious too. Give it a go and you'll be hooked. Haven't tried the mix, but it was on offer (I mean ridiculously cheap) but the family are looking forward to me making them. 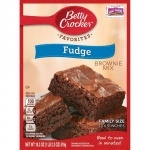 I have used a Better Crocker cake mix before, and the results were great, so hoping these will be too.